Gist — a service that helps you automatically get more information about your email contacts and is a favorite of the WWD team — has just released an Android app. 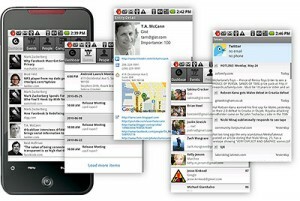 It joins the existing iPhone app (s aapl) in providing on-the-go access to information about your professional network. It narrows down the potentially confusing amount of data it could display about your contacts by concentrating on providing information based on your upcoming meetings or your contacts’ recent status updates. You can download the Android app for free from the Android Market. Let us know what you think of the new Gist Android app in the comments.